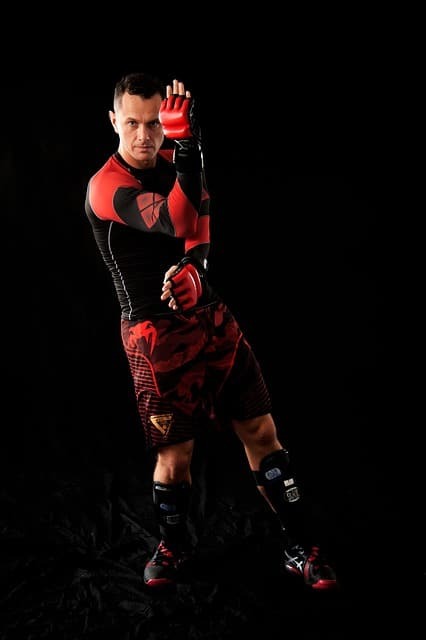 Practicing a combat sport comes with the task of purchasing high-quality, yet accessible gear such as gloves for Muay Thai. If you need help doing just that, we recommend that you also take a look at this article that we have prepared for you on how to select shin guards, so check it out and make up your mind! Because we know that there are numerous novices who find it difficult to understand the importance of good Muay Thai kick pads, we have prepared an informative article that we are sure will come in handy. As the specialists have argued time and time again, kick pads are a must for any Muay Thai practitioner because they can be utilized when training in order to boost one’s kicking speed, strength, and accuracy. Using such a piece of equipment is necessary because it feels more natural to the fighter than a standard boxing sandbag. On top of that, it enables the user to practice different types of kicks, which is something that a sandbag cannot be used for. Generally, Muay Thai gyms have pads. However, if you like the idea of being able to train whenever you want, it is not a bad thing to purchase your own pads. Plus, you can use them to practice with your sparring partner. This way, he/she will be able to provide you with the necessary feedback. Training by using pads is also appreciated by Thai fighters because it allows them to strike with full power without having to worry that they might injure their partners. To propel your skills to the next level, it is crucial that you acquire quality pads. The size of the pads is an important factor that one has to evaluate. Manufacturers usually offer four different sizes that one can pick from, from small to extra-large. The size of the pads matters because it affects the way in which one has to hold them. For extra convenience, some models also come fitted with an adjustable strap. When it comes to their thickness, the experts recommend that one selects a pair of thick pads, rather than thinner ones. However, there are fighters who are tempted to purchase thinner ones because they are easier to hold. The main disadvantage of the latter models is that they do not provide the holder with the same impact protection. What is more, thinner options expose the fighter to the risk of injuries when one performs a powerful kick. Depending on the design favored by the manufacturer, pads come in various shapes. First, there are models with a short height. These products encourage the fighter to hit with more accuracy. Still, they do not supply the holder with a lot of protection. Longer pads are safer and they tend to last longer. Yet, these choices are rather bulkier and they are known for being slightly heavier. Because they are bulkier, some fighters argue that they are challenging to use while doing punching drills. Another alternative that you might want to try out is the hybrid Thai pad. This model is a cross between a Thai pad and a boxing pad and it is more flexible. One major drawback is that these products are thinner than traditional ones. Most Thai pads come fitted with two handles that you can use to push your arms through. Those choices are equipped with high-quality handles and they can absorb most of the shock of the punches and kicks that one throws. The rigidity of the pads should not be neglected. While some pads are softer and able to absorb quite a lot of the shock of the impacts, they cannot provide you with the bounciness supplied by harder pads. Some fighters have also noted that sturdier models are more durable. Straight pads take a bit of time to break in and they are a bit harder to kick. Curved models allow for full contact, are safer, and they are a bit more comfortable to kick. Given the features that they supply the user, curved products are a bit pricier than their counterparts. If money is not an issue for you, it is highly advisable that you invest in pads that were made of leather as these choices are quite durable. If you are short on cash, you might also want to take a good look at options manufactured using synthetic leather as they are also quite practical. Still, most reviews point out that one should not acquire a choice made of vinyl as these products are not sturdy at all and are likely to crack quite easily. The cracks on the pads are not only uncomfortable, but they can also damage the integrity of your boxing gloves. When should I replace my pads? As you might know, Thai pads are rather durable. However, there are a few signs that you should look for because they indicate it is time that you have to replace the pads. For example, if your pads bend inwards and, as a result, the center starts to disintegrate, it is time you start looking for a new model. Also, if you feel the kick through the pad and the side stitching is torn, you should also consider replacing them. How should I maintain my pads? One of the most crucial aspects that you should do is to make sure that your pads are dry at all times. Therefore, you should wipe them after each training session. According to users, if you place wet pads in your bag, the material that was used to cover them will soon start to crack. Another thing that you can do is to clean them by using natural disinfectants so that any bacteria is killed. This is particularly vital if you happen to share the pads with other people. If your pads are made of leather, the type of disinfectant that you purchase should be leather friendly.